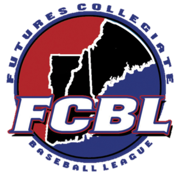 The members of The Futures Collegiate Baseball League of New England are interested in obtaining information from any ownership group, community, or college that wants to join in providing first-class, affordable, and family-oriented baseball entertainment to their community. We believe that we have the best summer collegiate baseball model available today. We bring baseball to communities that can not afford the million dollar professional baseball budgets, yet still want to present the best baseball at affordable prices to their fans. If you want to bring real baseball, real entertainment, and a quality sporting addition to your community, then you should investigate the possibilities of joining us in The Futures League. Limited expansion opportunities are available for the right ownership groups in the right markets. If you have a desire to become a part of the future of summer collegiate baseball in New England, then you should contact the League Office at futuresleague@yahoo.com or fill out the contact us sheet for more information about what it takes to be a part of all the excitement!